A while back we made these pizzas on a lazy Sunday afternoon. 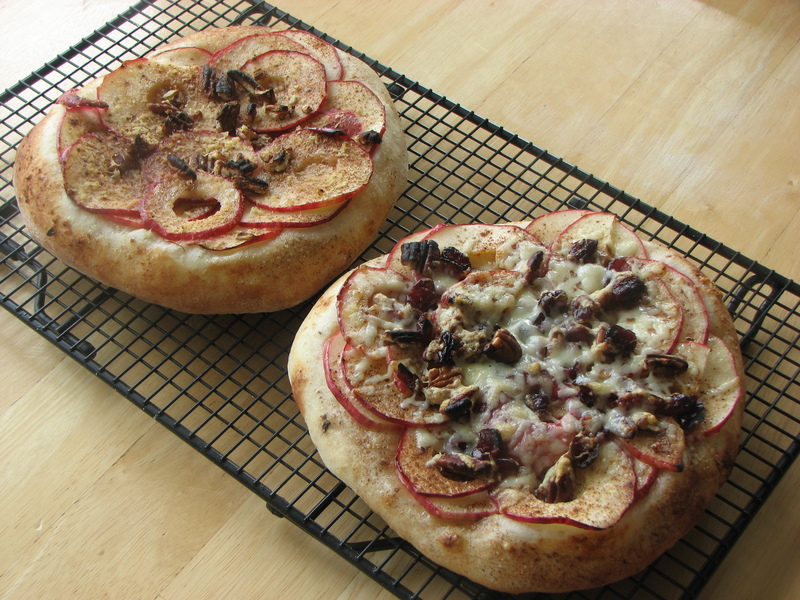 We had leftover pizza dough we needed to use so we decided to make some dessert or brunch style pizzas… your call. We started by rolling out half a recipe of pizza dough (full recipe makes 2 full size pizzas) into to 2 small personal sized pizzas. Then we sliced some apples on the mandolin very thin and tossed them in some lemon juice to keep them from browning. Jackie suggested we use melted butter as the sauce… good call! 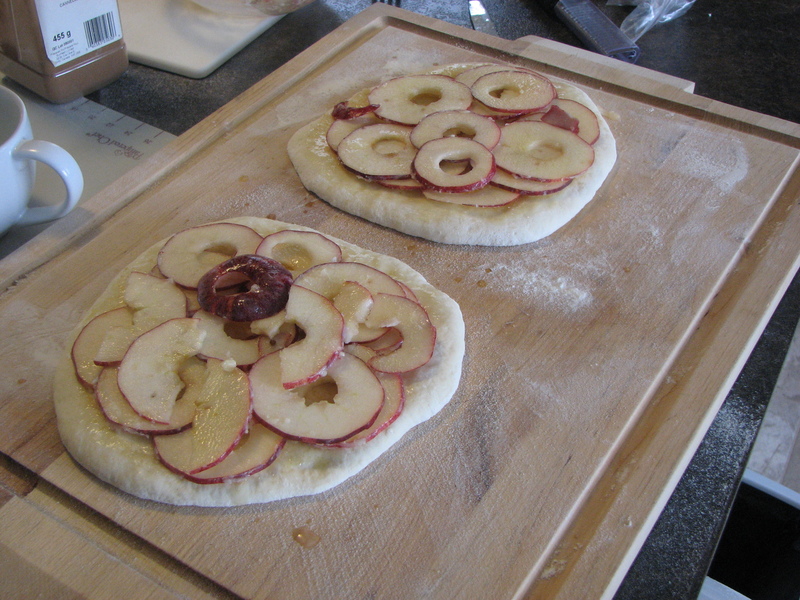 Next, we sprinkled on some turbinado sugar and then put the sliced apples on. 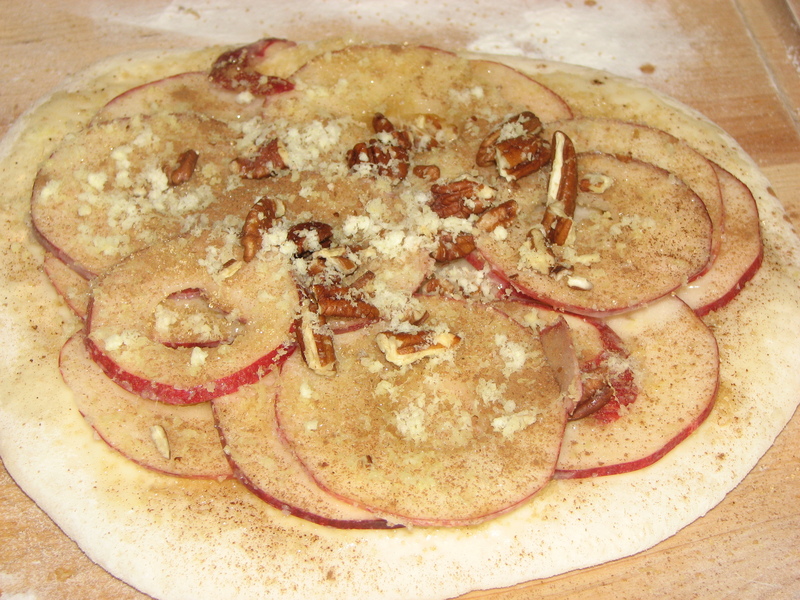 On Jackie’s pizza she put cinnamon on top, then some crushed pecans and then some fresh grated ginger. On my pizza I put cinnamon, pecans, Craisins and then I topped it with Asiago cheese, which I didn’t get in the picture. Both pizzas were fantastic!!! The ginger on Jackie’s had some nice heat and real refreshing bite. 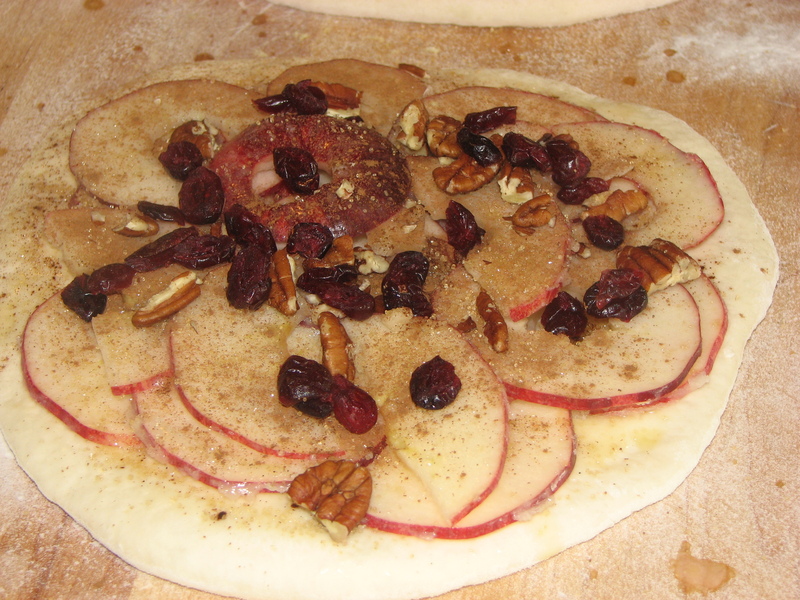 The Asiago on mine, combined with the pecans gave the pizza a nice nuttiness and a great tang, while the Craisins added sweetness.